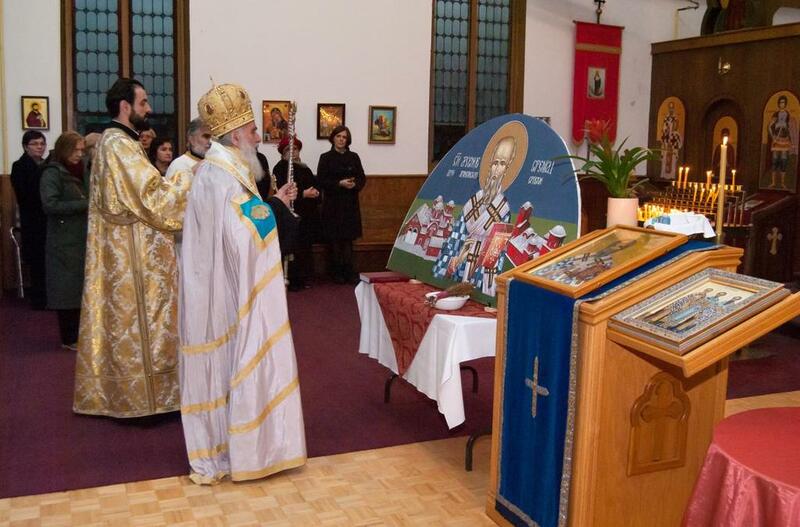 Whitby, Ontario - Оn the Eve of the Holy Three Hierarchs, February 11, 2016 the faithful of St. Arsenije of Srem Church in Whitby were visited by Serbian Patriarch Irinej. His Holiness first blessed the icon of the St. Arsenije, the protector of this community, done on canvas and it will be placed above the entrance doors to the nave of the church. 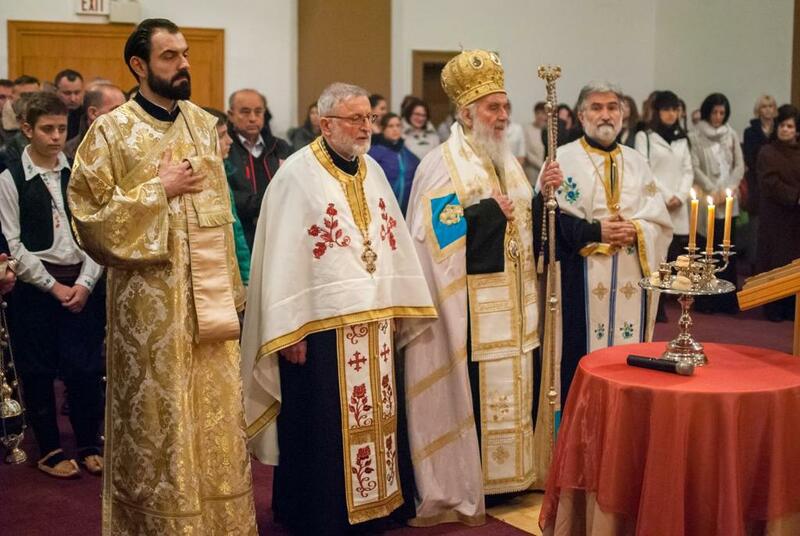 The festal Vespers were officiated by the Patriarch, in the concelebration of the Episcopal Deputy for Canada V. Rev. Stavrophor Vasilije Tomic, the parish priest V. Rev. Milovan Sredojevic and Protodeacon Damjan Bozic. Chanting at the chanter's stand were Protosindjel Vasilije Gavrilovic and theological graduate Milorad Delic, joined by V. Rev. Stavrophor Milutin Veljko. The church choir, led by Ivana Lukic, responded during the service. The parish had the honor to address His Holiness. He said: This church school congregation to which East Toronto and all cities north of the Ontario to Kingston, was founded in 1970. Due to a lack of members this church school congregation was closed and with the wave of new immigrants beginning of 1993 it was once again renewed. The missionary parish, cared by the Toronto parish priest Prota Vasilije Tomic, increased so that the faithful soon purchased an abandoned Presbyterian church. The hard working members of this community helped physically and financially and in October of the same year it was consecrated. Fr. Milutin Veljko was appointed parish priest. Church and cultural life developed in the parish as they work at preserving their spiritual and national roots. Auxiliary organizations were founded which contribute to bringing the Orthodox people together and feeding the people with their faith and culture. Currently in the parish there is a church choir, Kolo Sestara, a folklore group, church school and Serbian school and an organization dedicated to preserving our culture. Each year, beside maintaining the state of the parish, work is done to improve the condition that with love all human values are nurtured. All of this has allowed those to approach us who once didn't trust the fiathful and national state here. In one word, the Lord has gathered us together, and in seen in Christ's gospel we learn the "Way, the Truth and the Life". Finally, Prota Milovan Sredojevic noted that this parish lives in brotherly love with a little debt and daily improvements in all fields. It is not noticed that no one has gone to another sect, no one entertains thoughts of division and schism. The faithful of this parish with faith in the Mother Church respect all her decisions and they follow them. Afterward, His Holiness reminded the faithful of the significance of St. John Chrysostom, St. Gregory the Theologian and St. Basil the Great. He reminded the faithful of St. Arsenije of Srem of this successor to St. Sava who was a pillar of faith with his see in the Patriarchate of Pec, and today it is a spiritual pillar for our survival in Kosovo and Metohija. 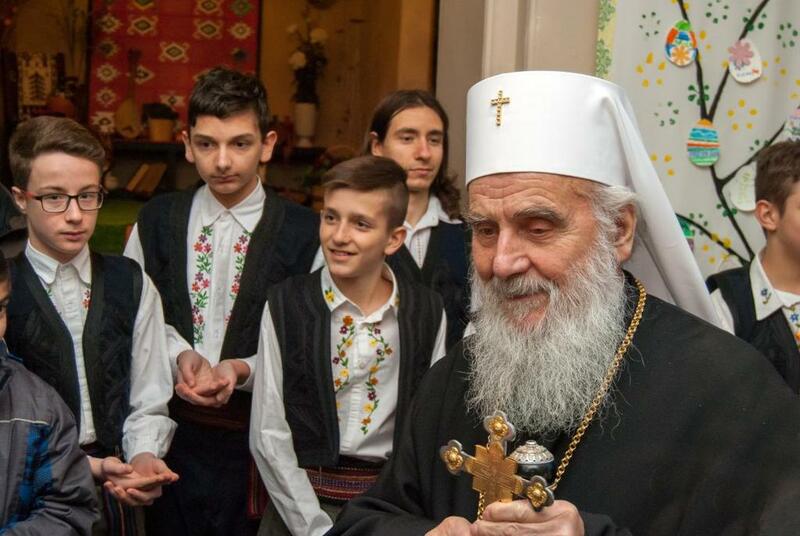 The Serbian Patriarch thanked the Serbian community in Whitby, reminding them to remain in the God-man unity through love for God and in faith. Following the agape meal in the newly renovated hall, which was completely full, the bearer of the staff of. St. Sava, and through the hands of St. Arsenije of Srem and all other Serbian archpastors, expressed his joy at having visited this Serbian community as well as the home of one of the founders of this church school congregation and his neighbor from his youth, Jevrem Simeunovic. The Patriarch thanked the newly elected president Spasoje Gavric who, together with the Kolo Sestara and other helpers, prepared the meal and the people who attended this event. 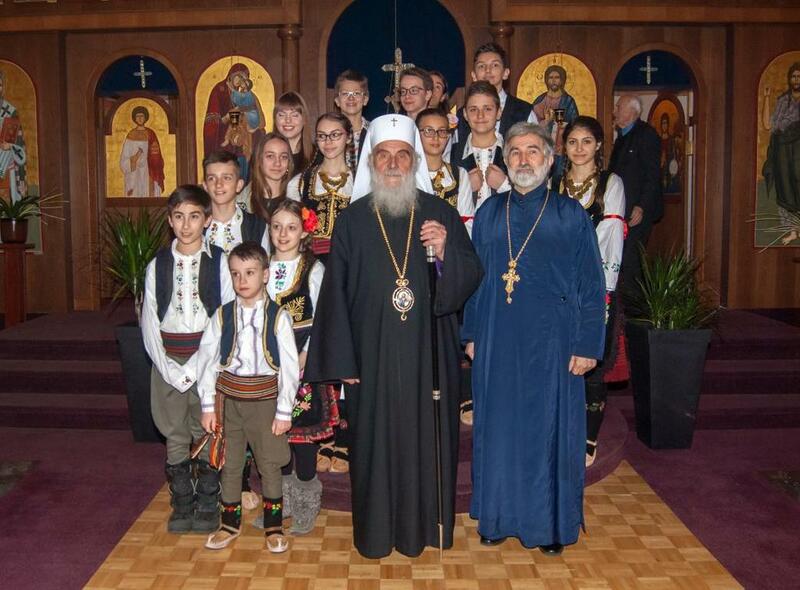 After the singing of "is pola eti despota" the faithful wished the Patriarch a good stay among his spiritual children in Canada.